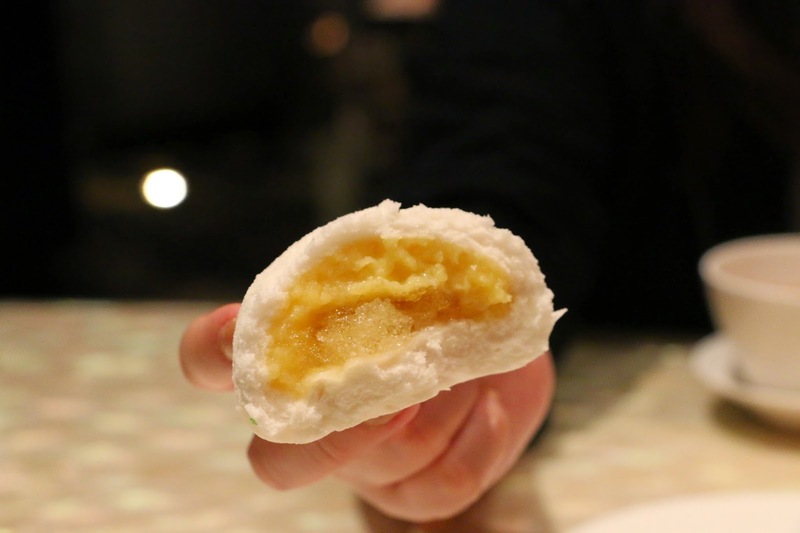 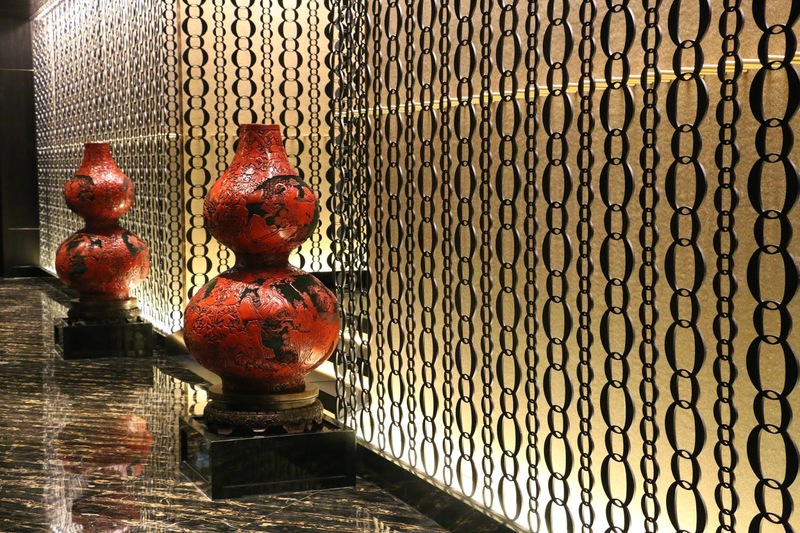 As one of the Michelin 3 Starred restaurants in Macau, this upscale establishment, with its private atmosphere, serves delightful Cantonese and Huaiyang cuisines and also classy dim sums in the afternoon. 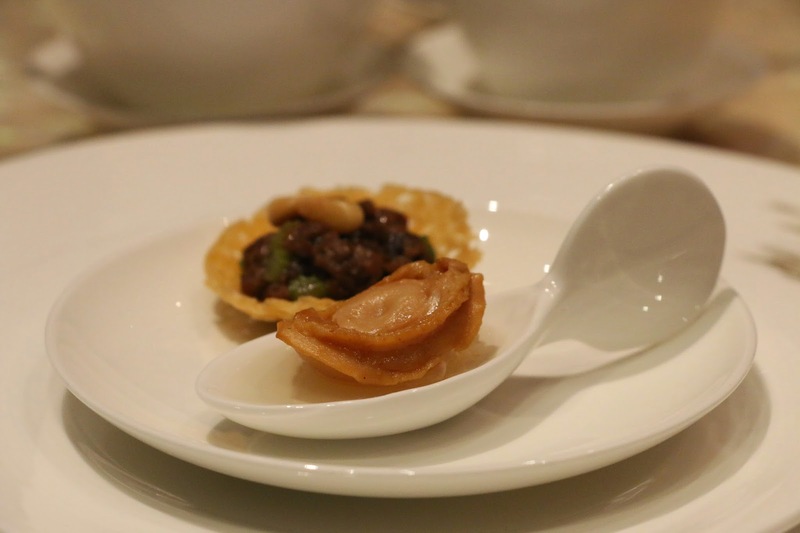 Every meal starts with an amuse bouche: diced beef fried with black pepper, pine nuts and a mini abalone served with pomelo jelly. 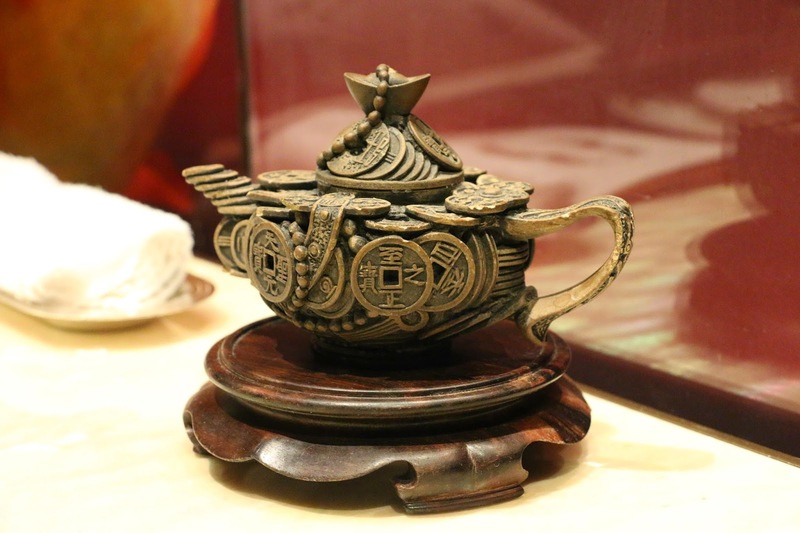 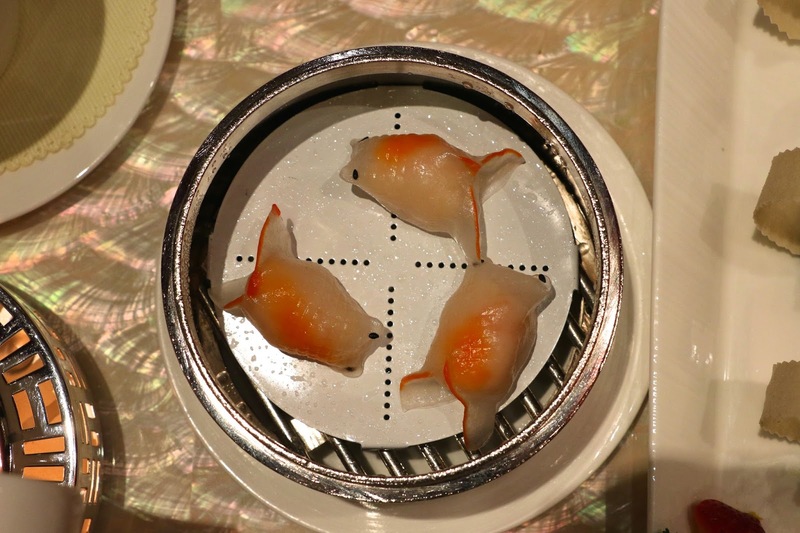 Some signature dim sums including the goldfish dumplings with fresh and succulent shrimp fillings, are served in a silver metal steamer. 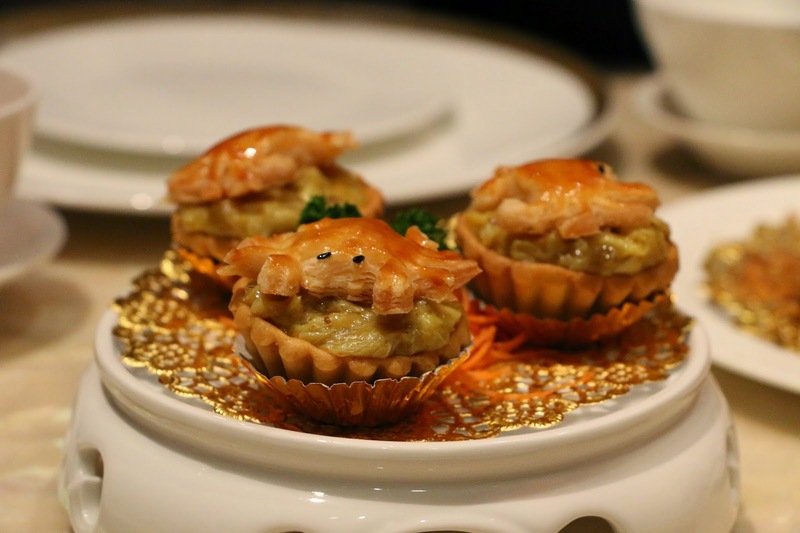 The golden tartlets have buttery crust and generous amounts of crabmeat cooked in Portuguese sauce. 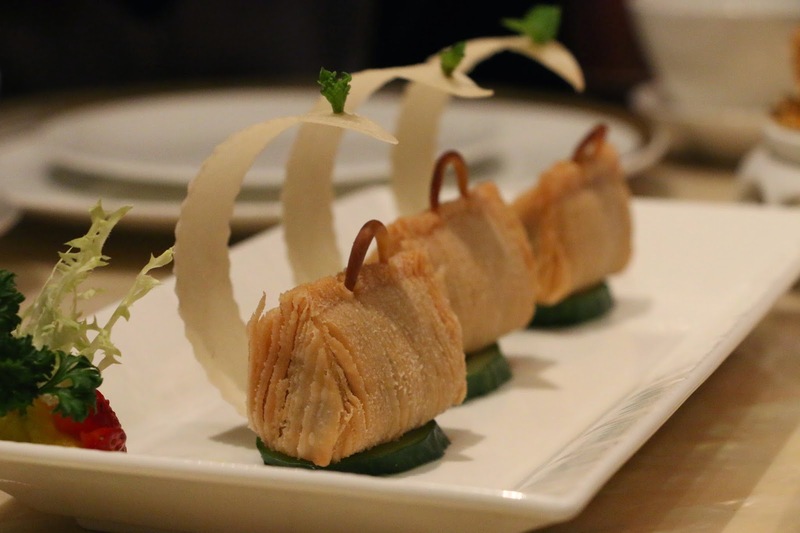 The purse puffs are also presented wonderfully in a long platter over cucumber slices, filled with flavorful river shrimp and minced pork. 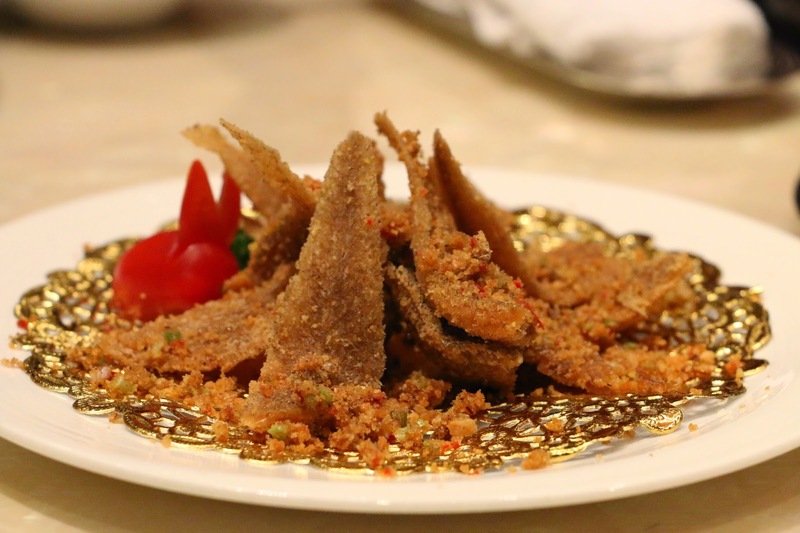 We also ordered a deep fried sole fillets that are extremely crispy and seasoned well. 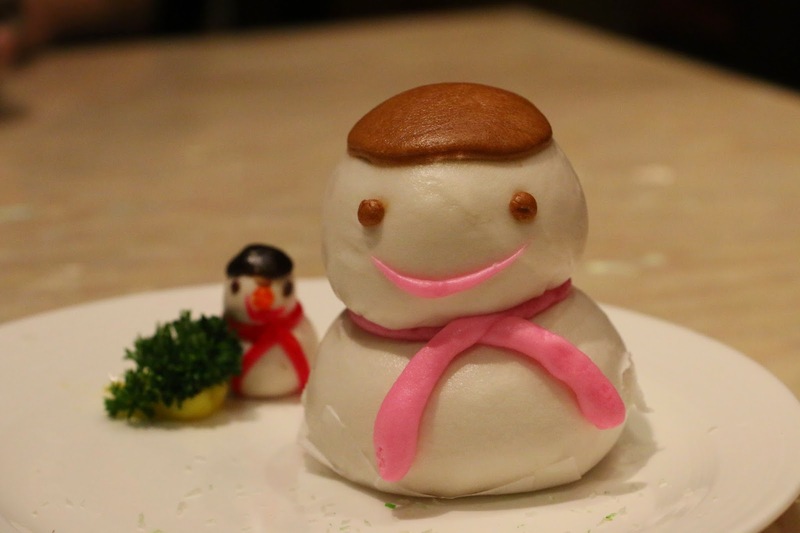 Last but not least, the snowman bun has her head filled with red bean and coconut whilst her body is my favorite custard and bird nest! 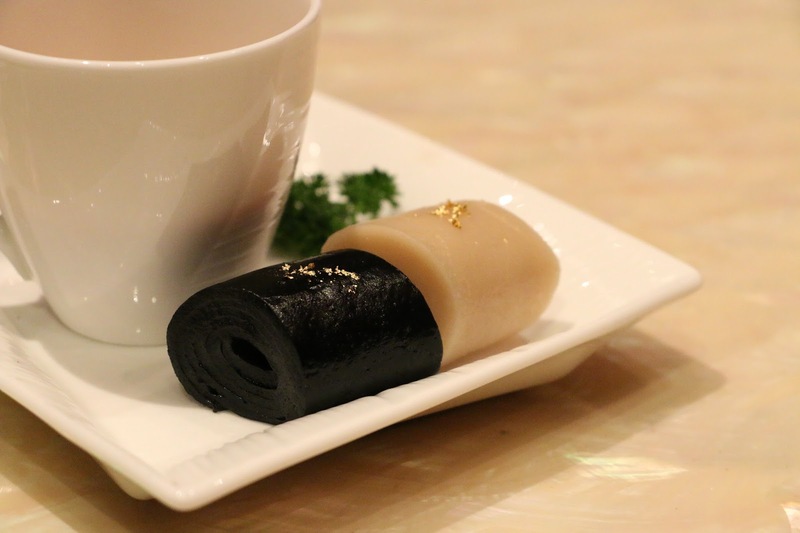 It is so deliciously adorable! 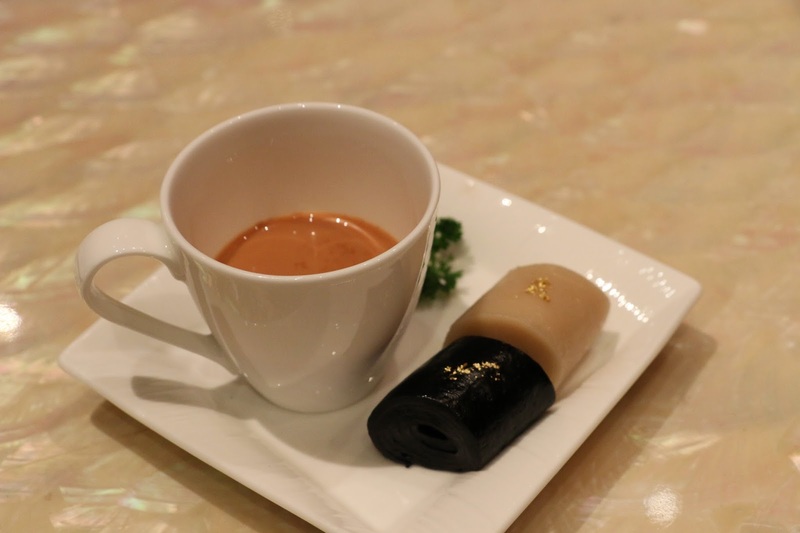 We were also served with Chinese petit fours, a cup of overly sweetened milk tea and gluey duo sesame mochi rolls. 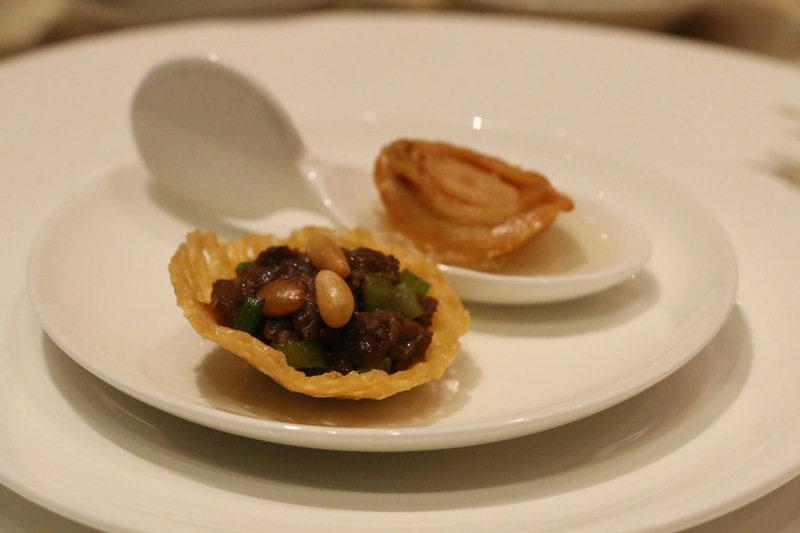 This dim sum lunch is simply amazing!